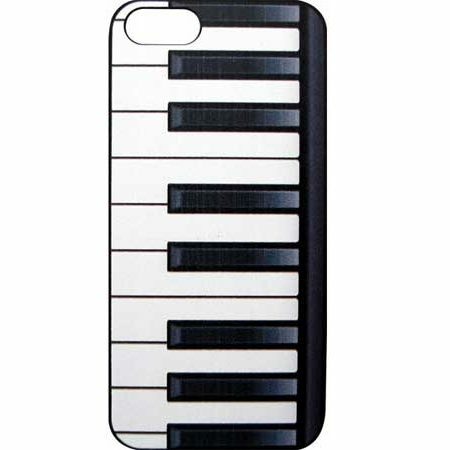 Piano Keys iPhone 5 Case – Add some style and show your passion for the piano with this awesome iPhone case! Crafted from a hard plastic material, the cover has a cool graphical rendition of piano keys going across the entire cover. A great way to add a little of your personality to your phone while also protecting it from scrapes and abrasions. Fits all iPhone 5 mobiles. Piano Gifts for Piano Players.